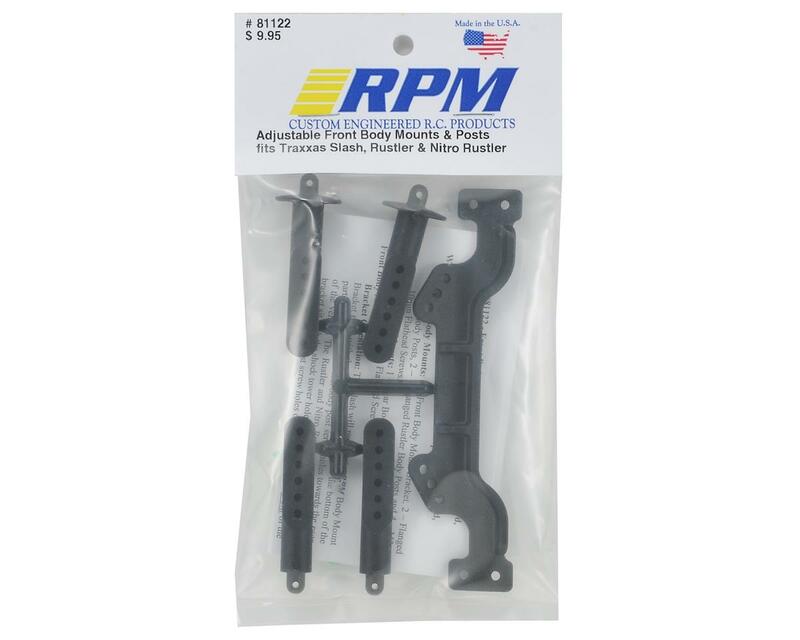 This is an optional RPM Adjustable Front Body Mount & Post Set, intended for use with the Traxxas Slash, Stampede and Nitro Stampede. 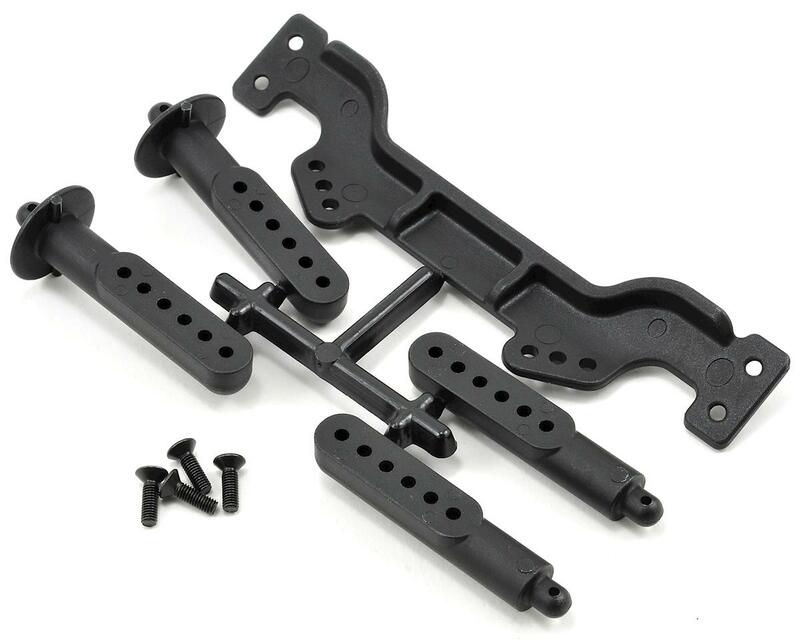 Immediately after releasing the Adjustable Body Mounts for the Traxxas Slash 4x4 (RPM73932), RPM customers with the 2wd version of the Slash wanted adjustable, more durable body posts too. RPM Adjustable Body posts for the Traxxas Slash 2wd are designed for durability and strength while still allowing you to adjust the body height on the truck. This unique body post mounting system allows the option of using the stock body height on the chassis. The body can also be lowered as much as 3/16” or raised as much as 3/8” simply by moving the posts up or down on the mounts. This simple, yet clever design is strong enough to handle the toughest of conditions while still allowing enough flex to absorb impacts that could otherwise damage other more fragile internal components of the chassis. Everything about these body mounts and posts are beefier than stock – from the thicker than stock screw mounts to the twin screws holding the body posts on to the mounts. RPM has incorporated an I-beam shape throughout each mount, which provides the strength these parts need for those less than perfect landings. Tech Notes: These body mounts and posts are fully height adjustable on the Traxxas Slash. Each part number may be used on the vehicles listed above although adjustability may be limited based on the vehicle used. Durability is great the only problem with it is it makes the front of my raptor lower than original part even at highest setting. This causes my body to get crushed when the front bumper compresses. Not good! Broke second jump just from shock of landing on all 4's. I was surprised that it would break so easy. I've noticed that rpm plastic is not so good. Several products have maxe me come to this assumption,like the transmission.